well, since the Giants are surely on their way to being 3-7, I'd recommend parking that blue family van on the other side of the street - (but this is key) - park against the flow of traffic. Trust me - it worked for the Giants. It takes a village to get the Phillies to win! 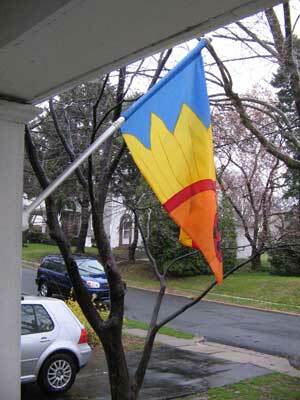 It's not the flag - it's only because it isn't really spring. Blame the loss on global warming!